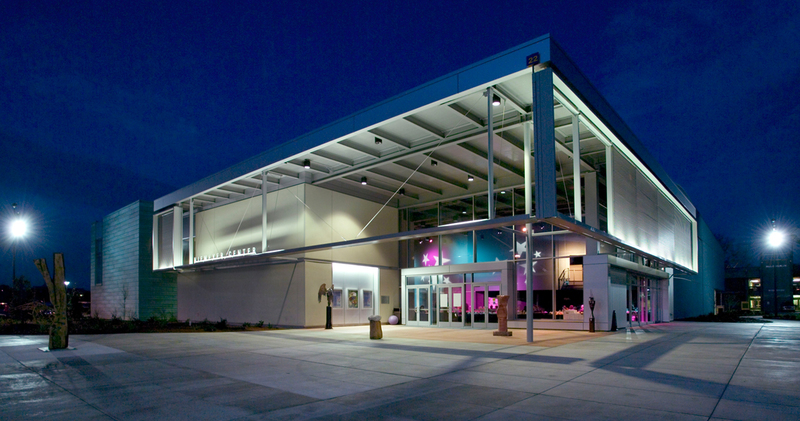 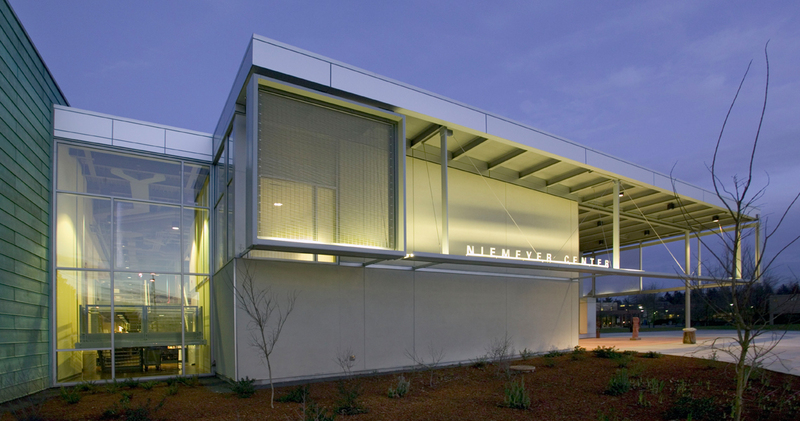 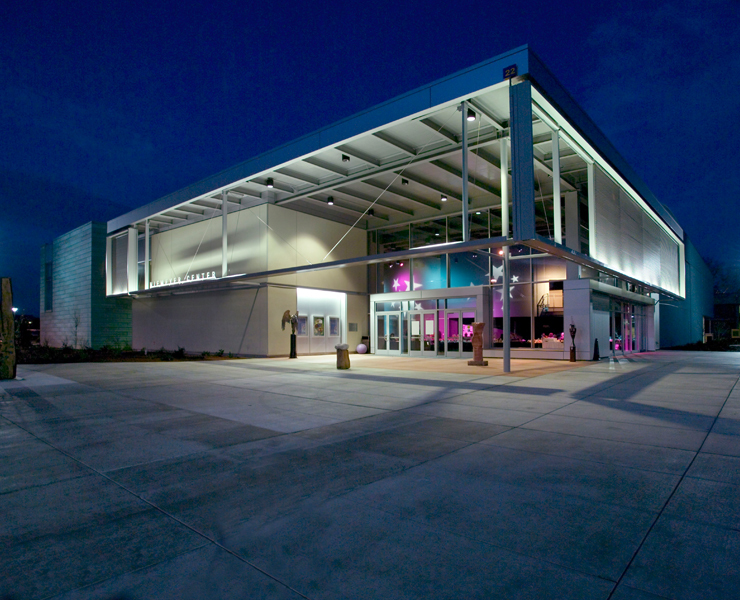 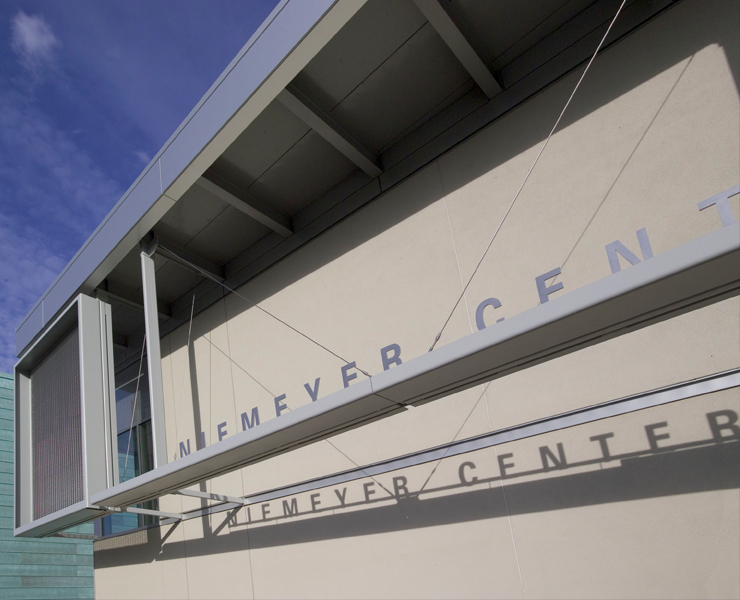 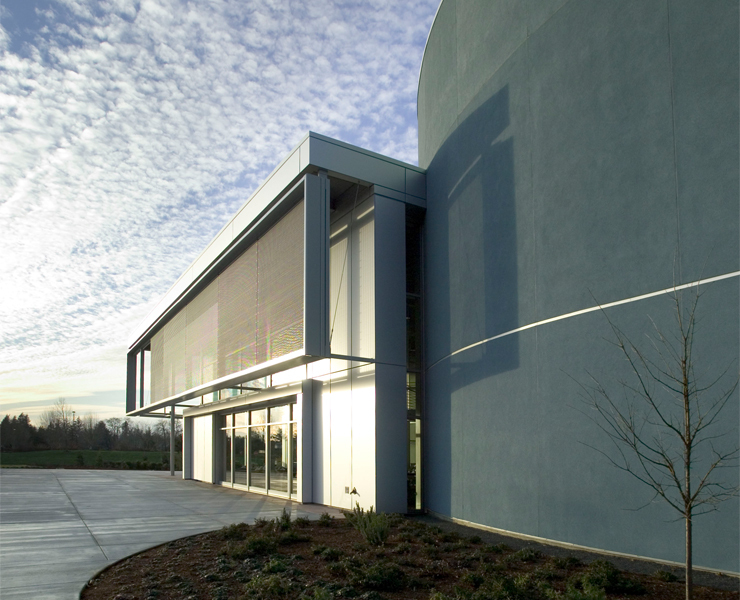 Set amid the beautiful landscaped Oregon City campus, the Clackamas Community College Niemeyer Center, the 46,000 sf multipurpose facility is a one-of-a-kind teaching and performance venue in Oregon. 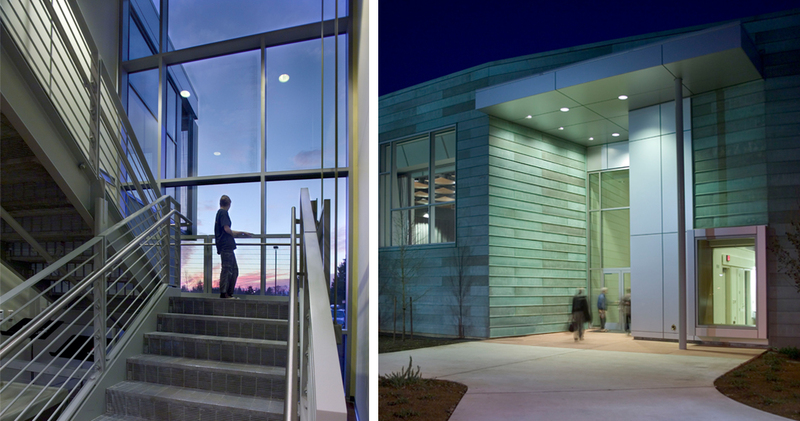 The project was designed as a public front door to campus with a dramatic two-story glass-enclosed lobby opens to a new forecourt plaza connecting the heart of campus to the larger community. 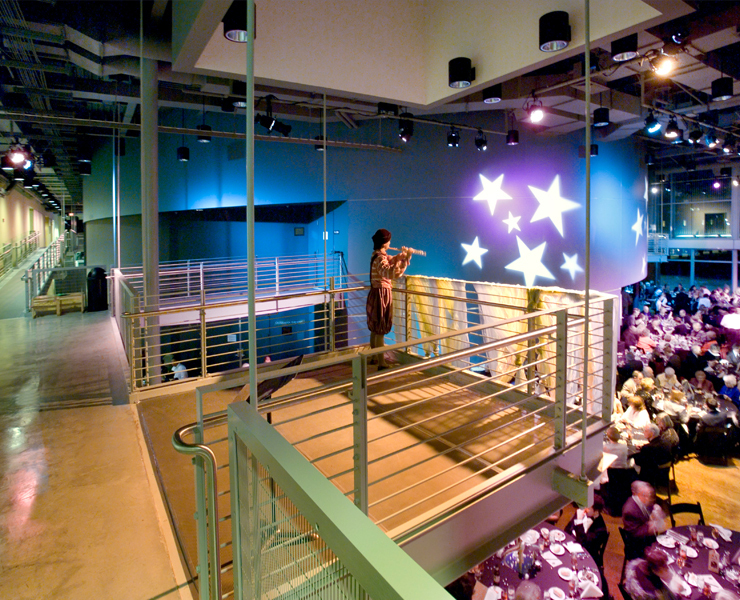 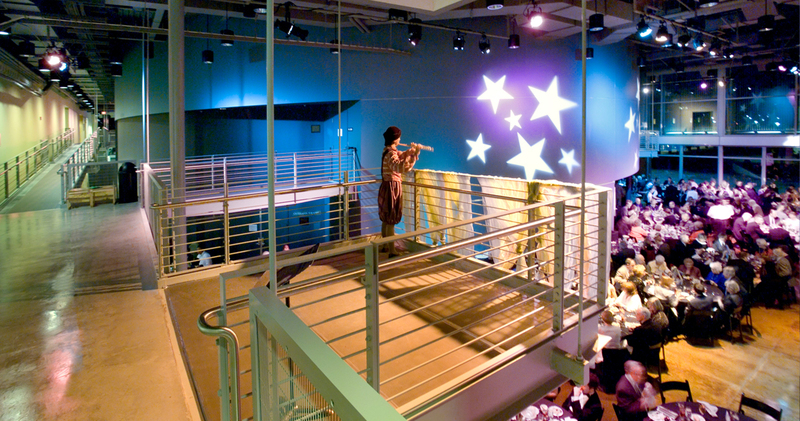 The two story lobby features hanging catwalk like bridges and platforms that allow the audience to “see and be seen” during intermissions. 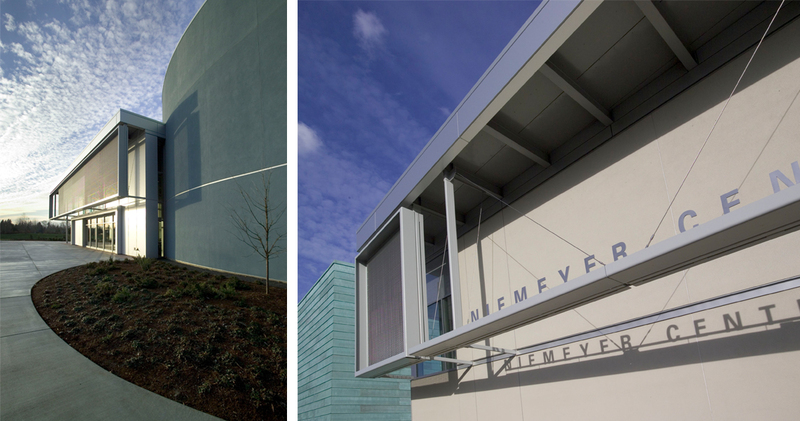 Entries on four sides of the building create a cross flow of pedestrian circulation that integrates the arts into the campus fabric. 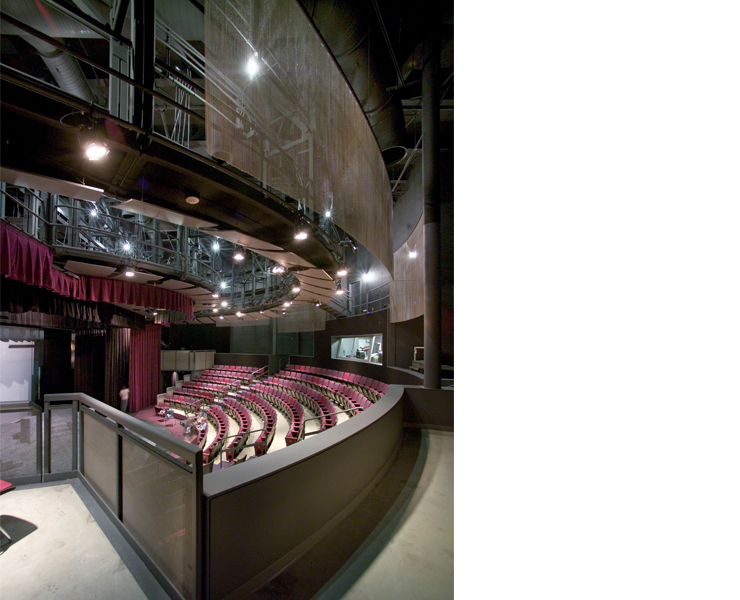 The theater is revealed as a curving blue plaster form that juxtaposes with the linear copper panel clad volume of the music rooms, creating a playful interplay of materials and color. 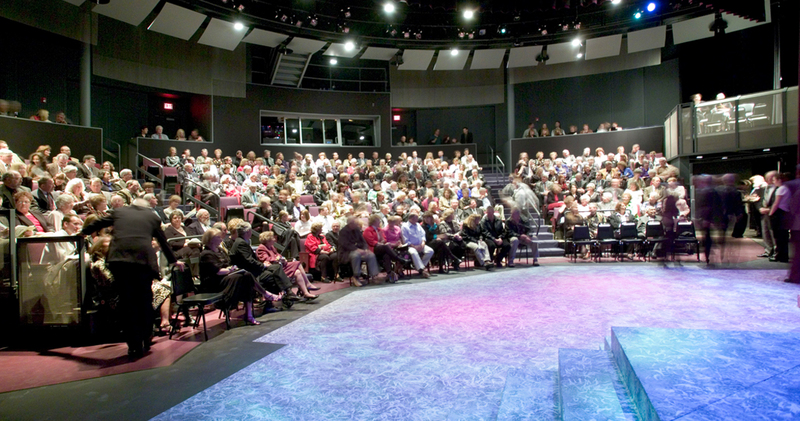 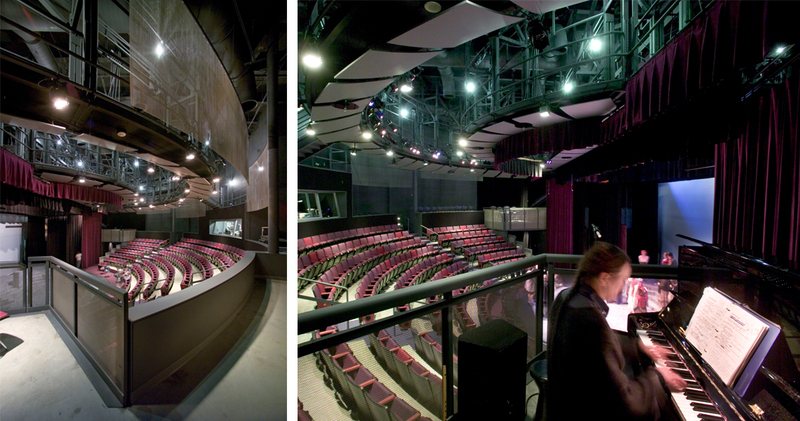 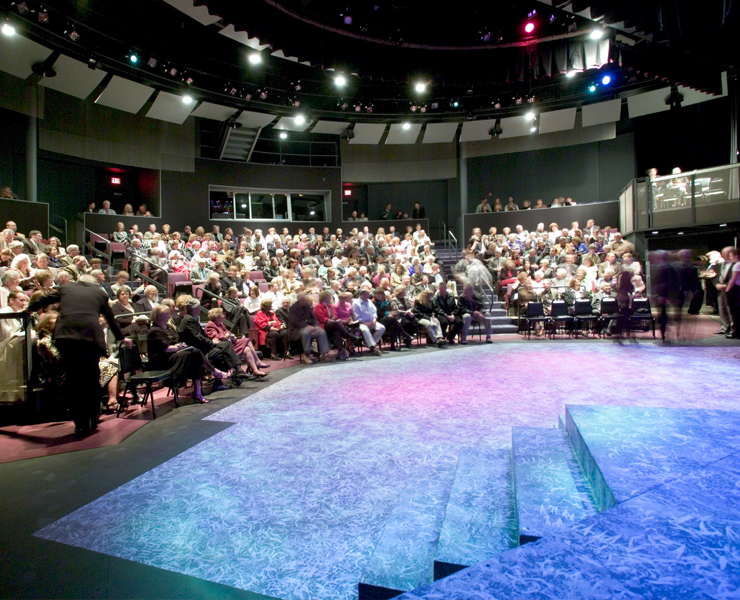 The semi-circular 250 seat studio theater is designed to accommodate a variety of performances including drama, music, lecture and film in an intimate setting. 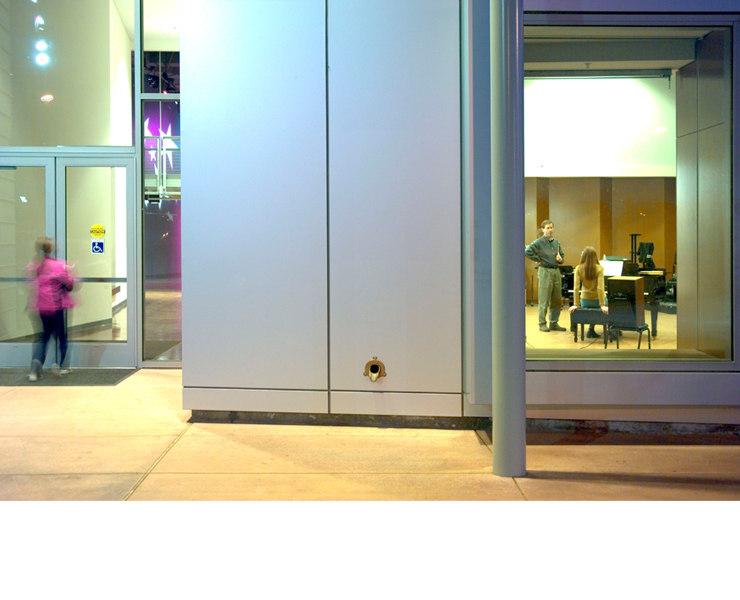 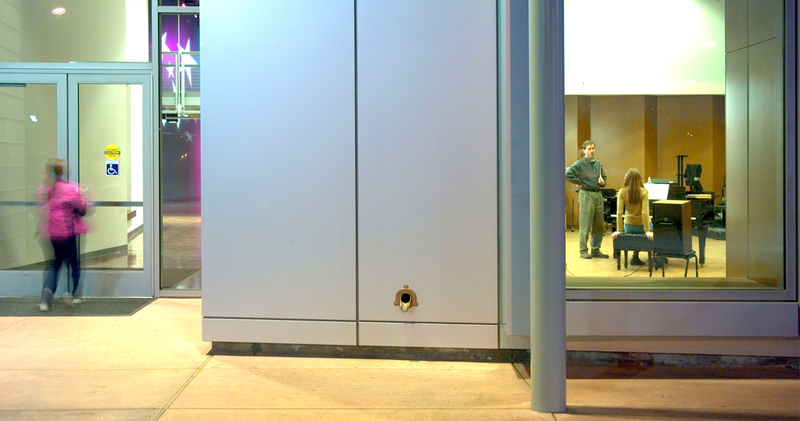 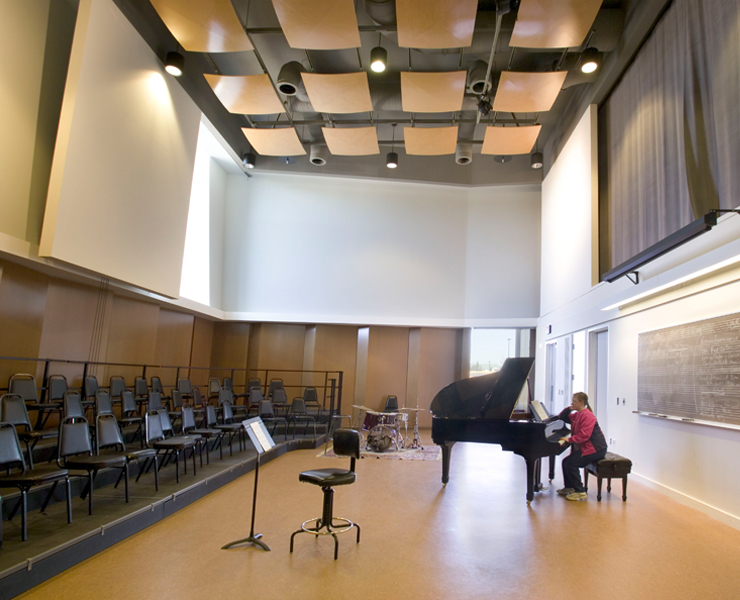 Variable acoustic systems in the theater and music spaces allow the rooms to be tuned to specific performance needs. 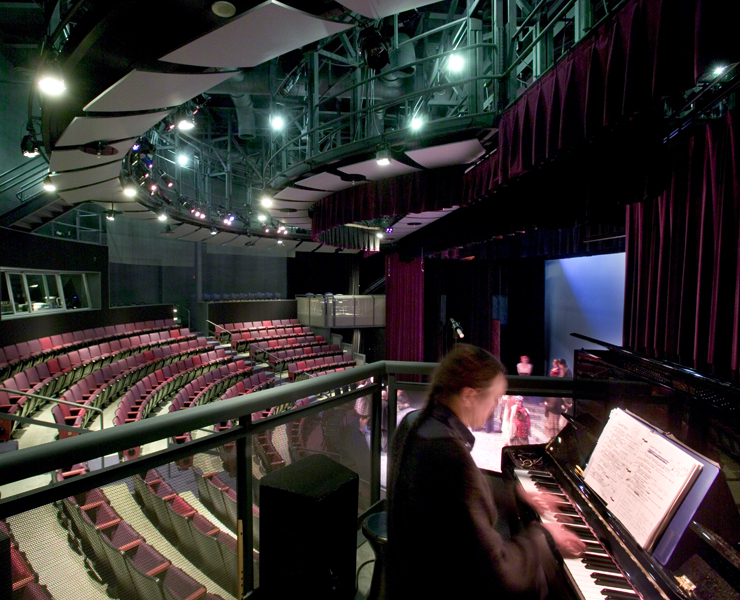 Theatrical program spaces include a scene shop, dressing rooms, a green room and faculty offices. 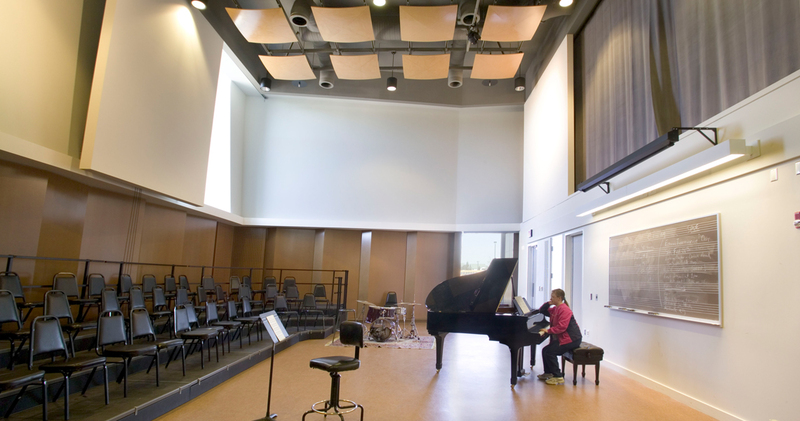 Music program spaces consist of vocal and instrumental rehearsal rooms, individual and teaching studios, a full digital recording studio, classrooms, and faculty offices. 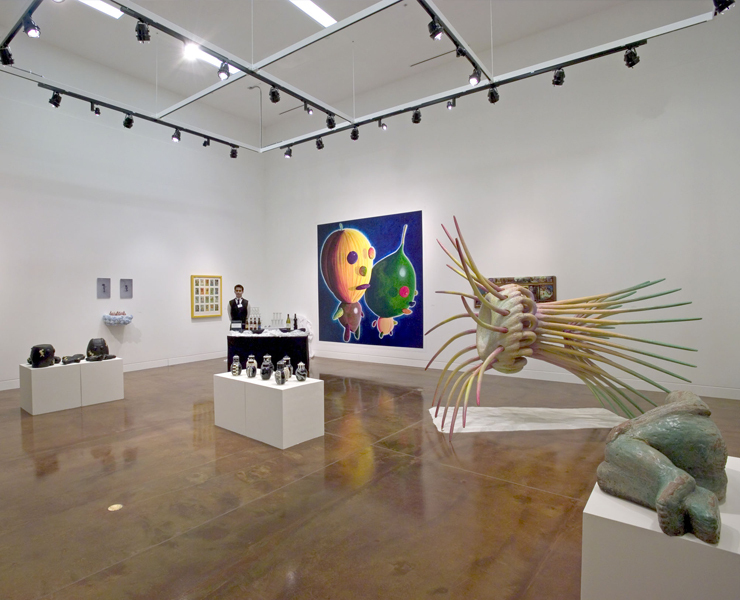 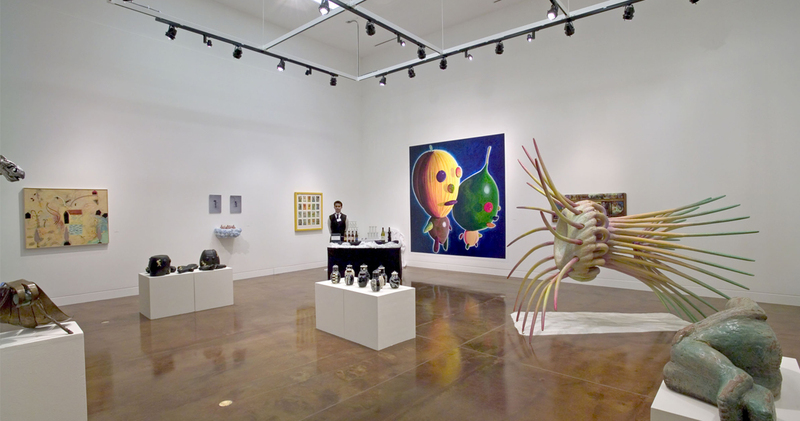 An art gallery off the main lobby provides space for students, faculty and local artists display their work. 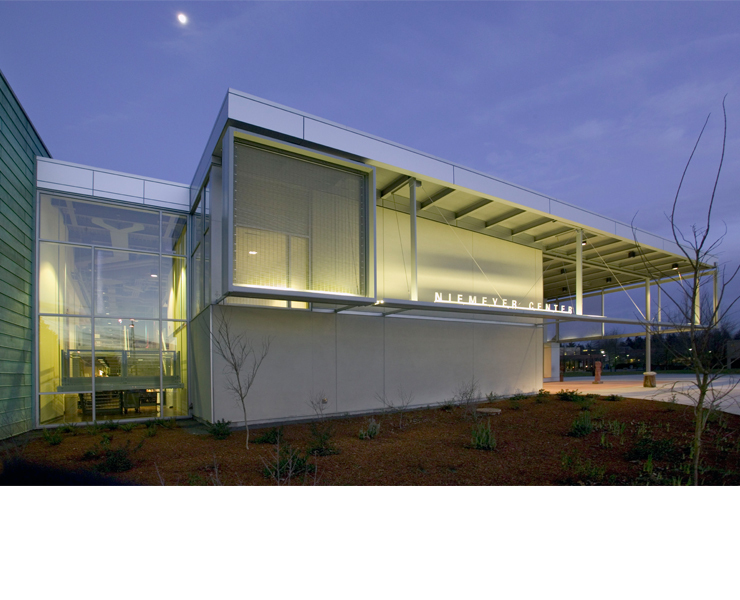 The building utilizes abundant natural light with exterior sun shading, radiant lobby floor heating and a displacement ventilation system for the performance venues to create a highly efficient green building. 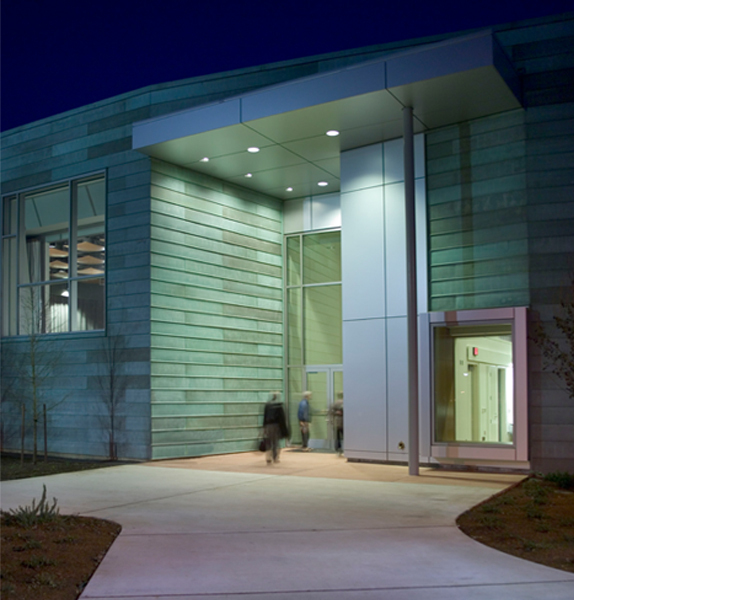 Opsis provided comprehensive design services on the center and 5 other campus buildings as part of a $40 million bond project. 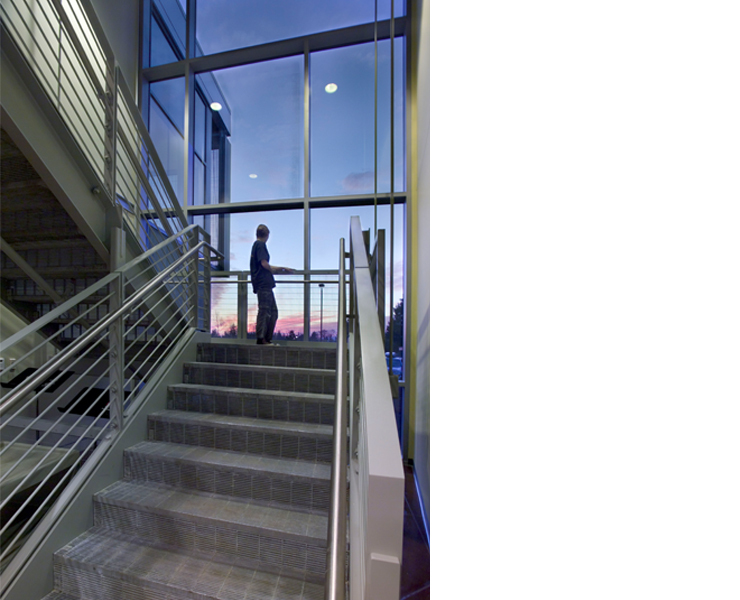 All projects were designed and built simultaneously in a three year period working with a CMGC and completed on-time and on-budget.